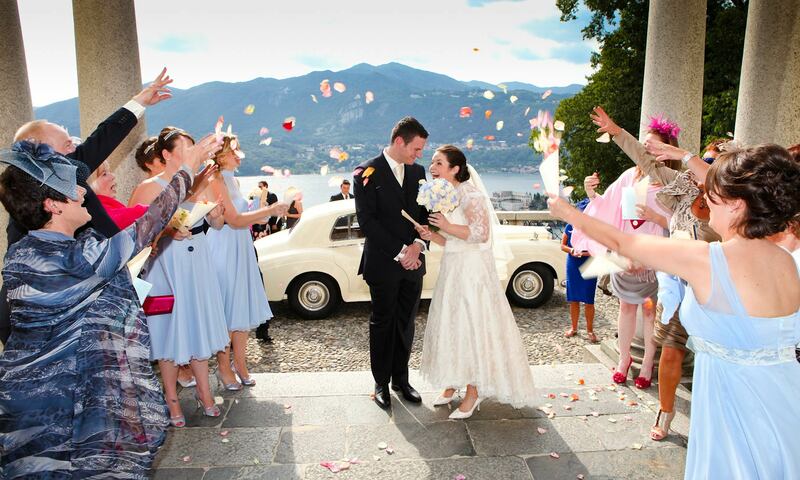 If you are keen for a Catholic ceremony Italy could be your perfect destination. 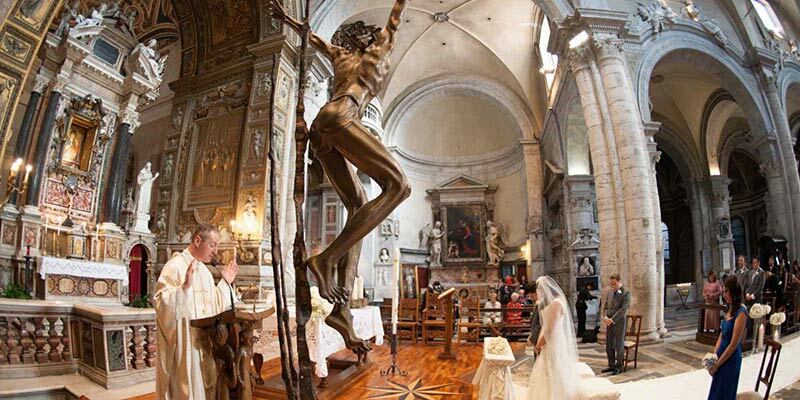 In Italy all villages, town or cities have many wonderful Catholic churches where you can perform your Catholic ceremony. Almost all churches are ancient ones. They have wonderful interiors with amazing frescos on the walls, beautiful pictures, statues alter or balusters. Most of them do not need many decorations to make them pretty, they are wonderful as they are. To all this beauty you can add that almost all churches are located in the centre of the villages or on top of hills. Their surroundings are just breathtaking, ideal for fantastic wedding photos right after the catholic service. A full Catholic ceremony lasts a little less than one hour and can be enriched with religious or classic music. You can chose string musicians but also organ players as many ancient churches have beautiful historical organs inside. We are able to provide for you an English (or French, German, Spanish and of course Italian) speaking priest that will be happy to celebrate your Catholic ceremony. He will create with you your ceremony choosing gospel, readings and the full order of service. Full Catholic ceremony do include the mass with the holy communion. This ceremony can be performed if both of the spouses are Catholic. If just one of you is Catholic we can have a Catholic ceremony too. This is called mixed ceremony, it does not include the holy communion but it will be legal from the Catholic point of view. 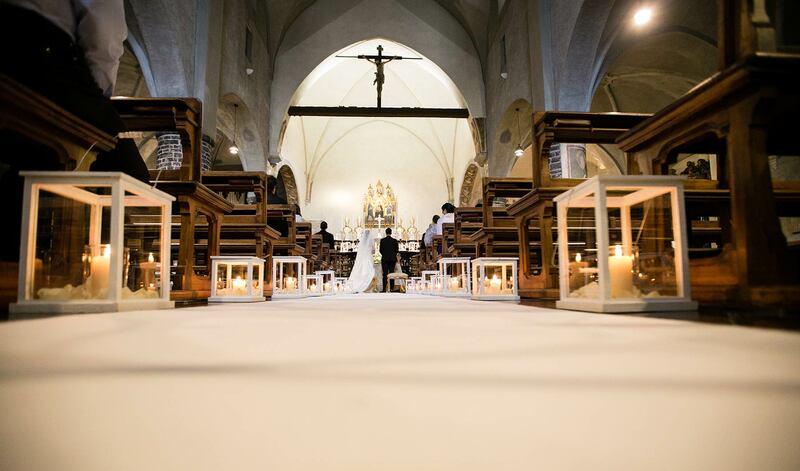 There are some documents that you need to produce to have a Catholic wedding in Italy such as Baptism and Confirmation certificate plus some others that our planners will be happy to explain. 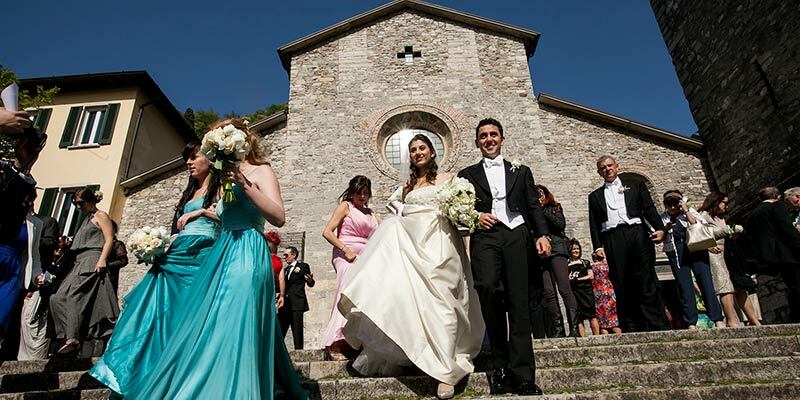 In Italy Catholic ceremonies can be automatically registered with a civil value too. 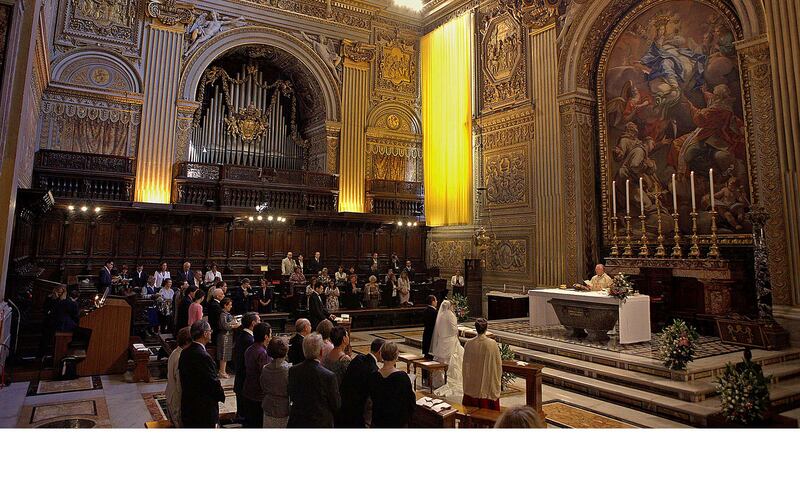 This means that a Catholic ceremony performed in a Catholic church in Italy can be valid also for the local town hall. There are some extra civil paperwork to provide but nothing extremely difficult. Our local planners will be pleased and happy to help and guide you for the documentation procedure. They have a wide experience managing legal marriages documentation for every citizenship solution. 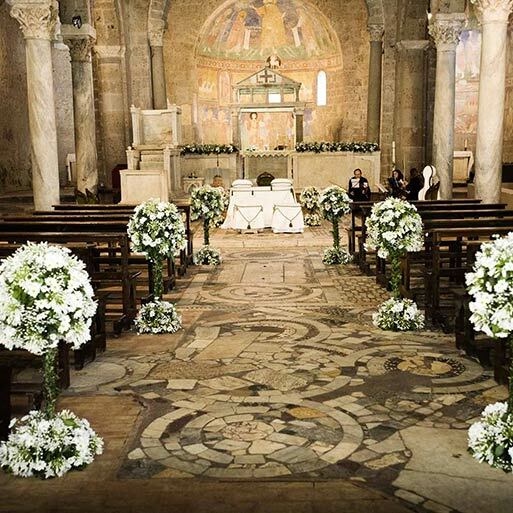 Not all churches in Italy allow wedding ceremonies for non-resident but our planners will be happy to guide you to the good ones that allow them. 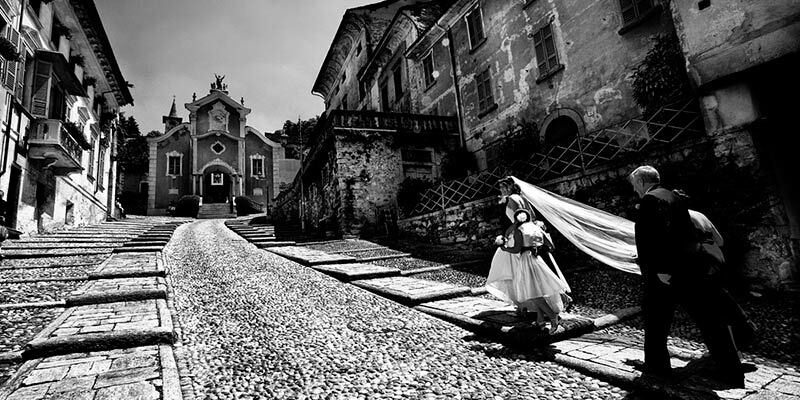 There are some churches on Lake Orta such as Maria Assunta, Sacro Monte of Orta, Madonna del Sasso and Santuario della Bocciola. 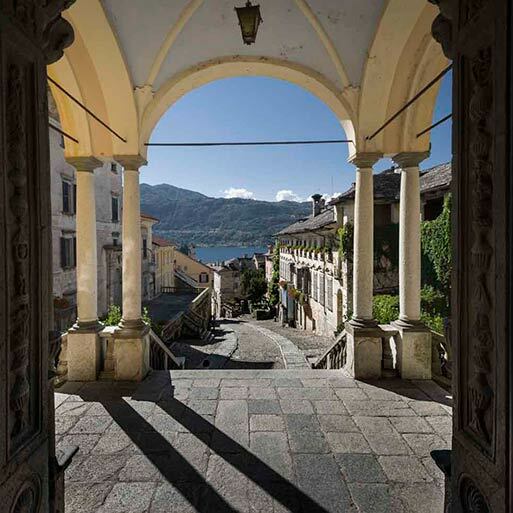 Some others can be found on Lake Maggiore such as Sacro Monte of Ghiffa, Church of Carciano, Churches on Borromeo Islands, Churches in Stresa and Lesa or Belgirate. On Lake Como there are some churches in Bellagio, Varenna and Cernobbio. 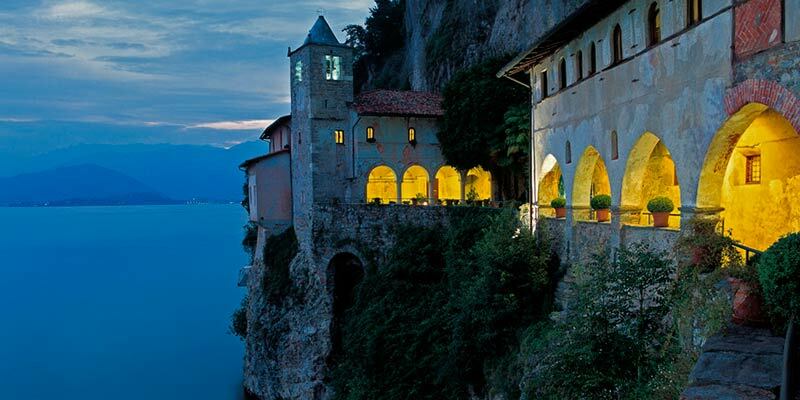 Lake Garda has many wonderful churches in Malcesine, Sirmione, Gardone Riviera. 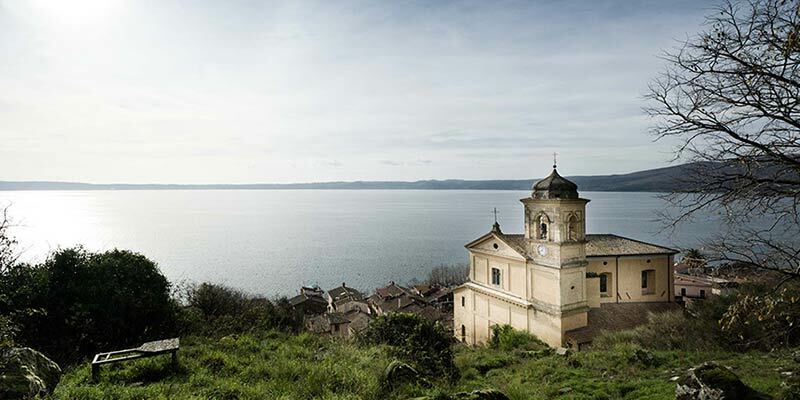 As far as Lake Bracciano is concerned we can suggest lovely churches in Bracciano, Anguillara or Trevignano but being so close to Rome and Vatican City, we could also suggest an amazing Catholic ceremony in one of the most beautiful churches in Rome and then move to Lake Bracciano for your reception. You could even think about a Catholic ceremony in St. Peters Basilica and a wonderful reception in the natural paradise of Lake Bracciano. 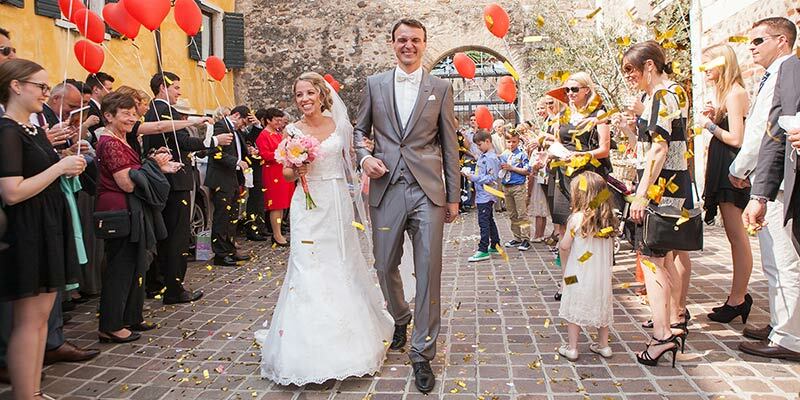 For further information on your catholic ceremony in Italy please contact us.